Yesterday, on May 3rd, Visual Kei band Codomo Dragon announced the release of a new single - and updated on Kana who disappeared a few months ago. 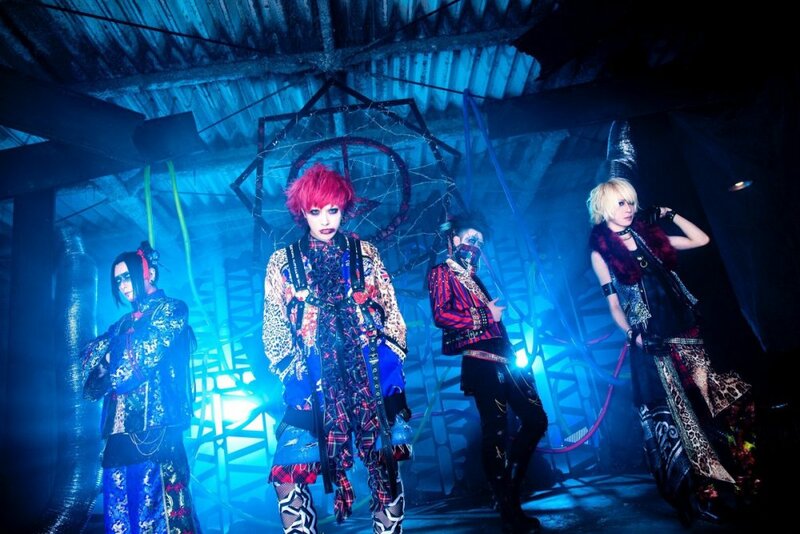 In the end of their tour final on May 3rd Codomo Dragon revealed that a new single will hit the stores. It is titled "Toge" (棘) and will drop on July 4th. Four different types will be released and we can already give you a few information on it: Type A for 1944 Yen will feature two songs and a DVD with the PV and Making of "Toge". Type B for the same price will feature two songs as well and a DVD with the multi angle version of the "Toge" PV. Type C and Type D feature three songs each with a different 3rd track as well as instrumental versions of each song. They will cost 1620 Yen each. Codomo Dragon&apos;s 13th oneman tour will start on July 7th and they will - just like the other label&apos;s bands - go on coupling tour in August before holding its tour final on September 12th at EX THEATER ROPPONGI. After that we waited if Kana&apos;s feelings would change but his opinion did not and no matter how often we send him mails, the just said answer was the only one we received. No matter how long we will wait, Kana&apos;s feelings won&apos;t change and as Codomo Dragon we can&apos;t let the fans who are supporting us wait any longer. To everyone who&apos;s supporting us, we are very sorry for announcing such a big change but as of now Hayato, Yume, meN-meN and Chamu will continue Codomo Dragon with these four member. We would be happy if you continue to support us without any change. In the beginning, I stayed often at Kana-kun&apos;s house, we slept on the futon together and had ridiculous conversations while taking a walk without a destination. Back then I didn&apos;t think we would continue being in a band like this. I didn&apos;t think we would make so many friends. And I didn&apos;t imagine it would end like this. We don&apos;t know what the future brings and we don&apos;t take things for granted, so we want to keep on walking with these four members. Please continue to support Codomo Dragon. Codomo Dragon Reveals Previews for "Tegra Magra"